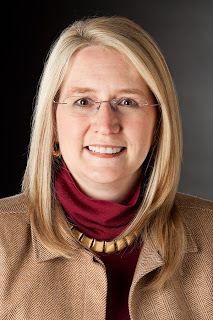 Susan Grigsby is a freelance writer and teacher. Her first picture book, IN THE GARDEN WITH DR. CARVER, was named one of The Best Children's Books of the Year, 2011 by The Bank Street Children's Book Committee; a 2011 Notable Social Studies Trade Book; and received the Growing Good Kids Excellence in Children’s Literature 2011 Award. 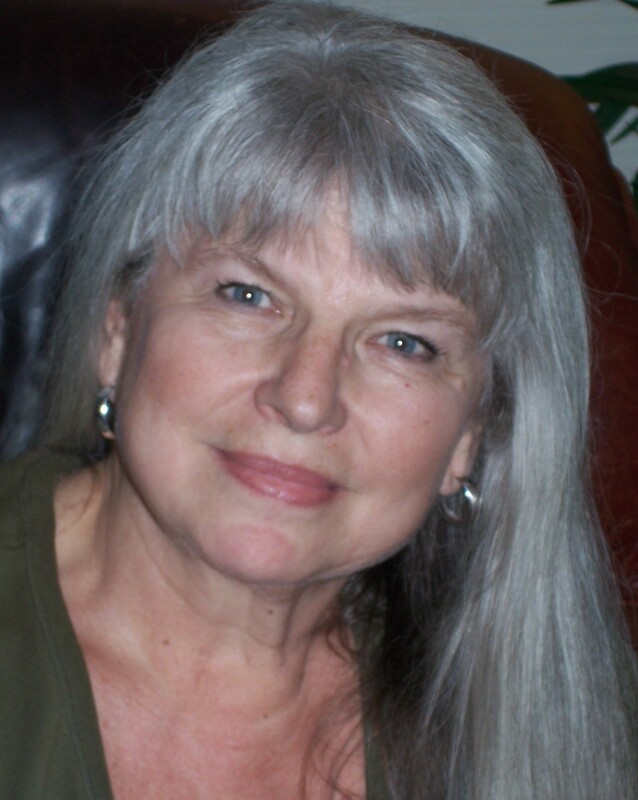 Her poetry has been published in national literary journals. She is a teaching artist for programs including the St. Louis Poetry Center, Interchange, COCA, and The Center for the Art of Translation’s Poetry Inside Out program. Sally is a young girl living in rural Alabama in the 1900s. One day, Dr. George Washington Carver shows up to help the grownups with their farms and the children with their school garden. Sally never forgets the lessons this wise man leaves in her heart and mind. Maya loves contests, so she is excited when her teacher announces that her class will plant a garden like Thomas Jefferson's.. Maya plants her pea seeds with a secret head start--found in Thomas Jefferson's Garden Book. But her friend Shakayla has plans of her own for winning the contest. . . I have wonderful memories of meeting my favorite authors at conventions and book stores. Mostly we talked about their books, but many of them were kind enough to give advice and encouragement to an aspiring author. I believed, for thirty years, that if I just tried harder, learned more and never gave up that I would someday join the ranks of the ranks of the published. Someday, I would be found worthy by Random House or Simon and Schuster or Tor or Daw. The pursuit of that elusive book deal—and the fame and fortune I hoped would go with it—became my unicorn; my golden fleece. The gold ring on the carousel. As the years went by, I sold a few short stories and a couple of poems. But the acceptances were few and far between, the rejections became less encouraging, and the news from the publishing world went from discouraging to bleak. I had been hearing a lot about self publishing, but I still thought of it as a kind of vanity press, or worse, the last refuge of failed authors. But I was growing tired of pinning my hopes of a career on people who didn’t know or care that I existed. About a year ago, a life-long friend who had read everything I had ever written asked me which of my novels (I had written five by then) was the most ready for publication. 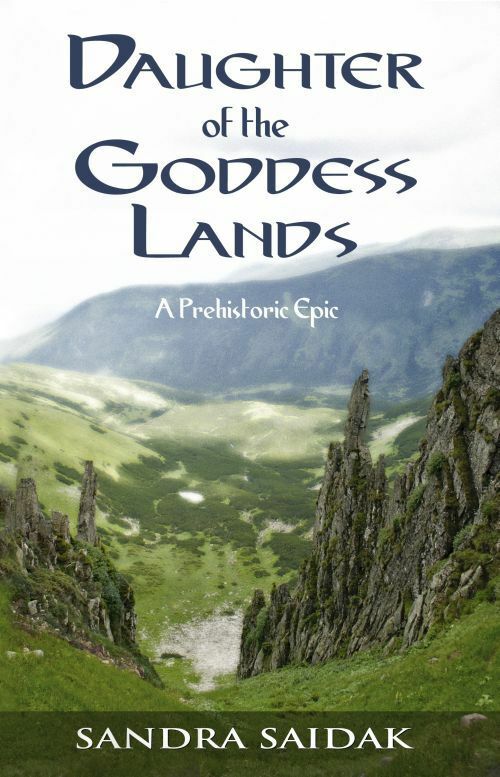 Since I was currently getting a great response to a fanfic I had posted on ECfans.com (a site dedicated to the work of Jean Auel) I told him I thought it was “Daughter of the Goddess Lands” a prehistoric novel strongly influenced by Auel. He told me what he had been hearing about self-publishing, and by the time he was done, self-publishing no longer sounded like a negative thing. He asked me a lot more questions, but the one that brought the whole thing into the realm of reality was this: how much would I be willing to spend on this project? I said “$300.00.” I thought he’d laugh. When he didn’t, I felt in control of my writing future for the first time in a very long while. So now I don’t spend hours poring over the latest posting of a new market that might—if I do everything right—glance at my first page sometime in the next year--and then send me a form letter stating that my novel is not right for them. When someone at my writers group mentions a magazine that will be accepting submissions for a three week period starting next month, I wish him luck, then wait for a chance to see who wants to talk about marketing strategies. And now that many of my favorite authors are self-publishing their back lists--or even their next novel—the lines that separate the fans and the pros; the big names and the newbies—just don’t seem as clear as they used to. When I go to a convention, I still want to meet authors I’ve read, and participate like I used to. But now I go to market my books as well, and exchange information with other authors about what works. I guess what I’m saying is: I finally made it to where I wanted to be. Just not the way I thought I would. Cultures clash in the late stone-age when peaceful goddess worshipers meet patriarchal warriors. Time is running out, as Kalie must find the weapon that will defeat horsemen before they ride west and destroy her home. This time, she has allies and a measure of power. Will it be enough? Comment to enter this week's giveaway contest for a copy of Christy Burkley's A FADED TAPESTRY: A COLLECTION OF SHORT STORIES. This is T.W. Fendley. 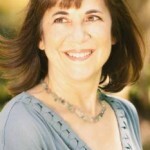 You can find me at www.twfendley.com and on Twitter @twfendley. This week's giveaway is Christy Burkley's THE FADED TAPESTY: A COLLECTION OF SHORT STORIES. From a mysterious, fading, historical tapestry to a fish that speaks to a confused, grief-stricken boy, author Christy Burkley offers eight wickedly comical tales of eccentrics and delightfully dysfunctional individuals that collide with the limits of reality. HOW DO YOU WIN A FREE COPY OF THE FADED TAPESTRY? To enter the contest, simply leave a comment or question on the Writers' Lens blog between now (June 25) and midnight June 30, 2012. Please include your email so we can reach you if you win. The more comments you leave, the greater your chance of winning the contest. If you refer others to The Writer's Lens who mention your name in their comments, I'll enter your name again in our random number generator along with theirs, also increasing your chances at winning! The winner will be chosen after midnight on Saturday, June 30. Good luck and comment often! Where to buy books: www.amazon.com, www.christyburkley.com, Parnassus book store in Nashville, Tenn., and Wood and Strings in Townsend, Tenn. I had the pleasure of meeting CHRISTY BURKLEY in April at Christina Katz's master class during the Missouri Writers' Guild conference. Christy graduated from East Tennessee State University with a bachelors degree in business administration. She continued to St. Louis Community College where she got her degree in Applied Science. She is now a dental hygienist and mother of two. 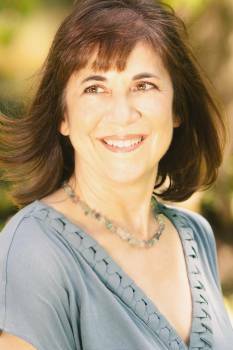 She is an award-winning author of The Faded Tapestry: A Collection of Short Stories. The Writers’ Lens is about "Bringing fiction into focus." What brings your writing into focus-- the characters, the stories, the love of words? All: characters, stories, the love of words, but if I had to choose one, I would say the characters drive my short stories. What inspired your latest book? My grandmother’s death. She was instrumental in influencing me to follow my dreams. Also, I am an avid reader and have been inspired by many, many writers (both dead and alive). What do you think readers will like about your book? I think they will like the characters. Mary Rose Davis, the protagonist in "The Faded Tapestry," is a ninety-year-old recluse. Her grandfather was the Civil War hero, Sam Davis. Mary Rose is obsessed with the past and her large family that, strangely enough, all died unnatural, untimely deaths. Parts of the story are nonfictional (the accounts of Sam Davis, his role in the Civil War, his capture, and bizarre accidents that killed her closest relatives). Mary Rose finds herself forced to deal with the present when she discovers that her ancestral family home will be demolished for a state highway. She calls her self-absorbed son, a lawyer in California, for help. Her son refuses to help, even after there are discoveries that could prevent or delay the project. When Mary Rose goes missing, her son discovers she has done the unthinkable in order to preserve her family's history. The cast of characters include a woman Mary Rose nicknames The Dazzler, a young, confident, beautiful woman determined to become an actress. There is young Samantha Smith, a pastor's daughter who steals her heart, and a psychic who accurately predicts Mary Rose's future. Also, in the townhouses behind her home, there are two homosexuals who befriend her despite her hardened anti-gay prejudices. Other stories in THE FADED TAPESTRY include "The Escape," a story about a 47-year-old St. Louis woman who tries to do the "right" thing by taking care of her mother at her home instead of admitting her to a nursing home, a decision that leads to disaster. In "The Talking Fish," a grief-ridden boy turns to science instead of religion when his father dies. In "The Jackpot," a cynical retired military woman finds love. In "The Poem," a woman learns to deal with the death of her saint-like mother. Would you share a bit about your next project? I have written a suspense novel, CARLOTTA'S WEB. I am working on a young adult novel. I am very excited about both projects. In the meantime, I continue to write short stories. What is the highest compliment someone could make about your writing? I heard someone say, “I couldn’t put it down.” I think that’s the highest compliment that I could receive. Is there a different type of genre you’d love to try to write? I am trying to write a young adult novel. It has been both challenging and exciting. What’s your most ill-conceived story idea? The first book I wrote was a short, middle grade-young adult novel. It was about a young girl that discovered enchanted colored pencils in her grandmother’s basement. What are your top three reasons for writing? I will tell you outright it is not money. It is a genuine love for words and a desire to be a storyteller. Thanks for joining us, Christy. This is T.W. Fendley. You can find me at www.twfendley.com and on Twitter @twfendley. Welcome to Gail Z. Martin, author of The Fallen Kings Cycle series (The Sworn and The Dread), as she unveils her sneak peek of ICE FORGED, Book One in The Ascendant Kingdoms Saga, coming from Orbit Books in 2013. Gail’s giving everyone a first look at the cover art for ICE FORGED, as well as book excerpts, author Q&A and more as part of her Hawthorn Moon Online Sneak Peek Event. She’s got exclusive goodies spread out across more than a dozen partner sites, and you can find out about it all on Gail’s site, www.AscendantKingdoms.com. She hosts the Ghost in the Machine Fantasy Podcast , and you can find her on Facebook, GoodReads, BookMarketing.ning, Shelfari and Twitter @GailZMartin. She blogs at www.DisquietingVisions.com. Here’s what we asked Gail…. What’s your Hawthorn Moon Sneak Peek Event all about? I started doing it back in 2008, and it’s become something my readers have come to expect. The solstice (aka the Hawthorn Moon) was an important event in my first book, The Summoner, and the name and timing just stuck. It’s my online unveiling of the cover art for the new book, along with excerpts, interviews, all-new guest blog posts and lots of fun stuff spread out over a dozen or so sites. To find out all the goodies and all the partner sites, please visit www.AscendantKingdoms.com. What inspired your latest book? Books for me always begin with a ‘what if?’ So I started with….what if….Europe’s prison colonies had been in the far north instead of the south? What if…you had a lord who was banished for an ‘honorable’ crime, for which he felt no remorse? And what if… during his exile, there was a cataclysm that wiped away the old regime, wiped away everything, and that disgraced lord was the only one who might be able to put it right? What if….there were powerful forces that wanted to stop that from happening? What if… a group of former convicts were the only hope the world had? What do you think readers will like about your book? 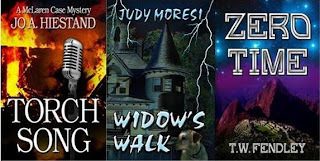 I always try to give my readers a good rollercoaster ride, so there’s plenty of action, suspense, even a little horror mixed in with the fantasy. It’s also important to me for my characters to grow and change over the course of the series, so they’ll learn things about themselves they never realized, find out just how far they’re willing to go for what they want. I think I’ve created an intriguing cast of characters, and I hope you’ll be interested to get to know them better, become invested in their choices and what happens to them. I also try to show you a world that makes you want to explore it, to discover its secrets. I write the kind of book I like to read. How do you find time to write and do a demanding job? I’ve always wanted to write. I actually got my MBA so I could afford my writing habit! Before my books were published, I wrote every time there was a free moment, usually at night after the kids went to bed, or early on Saturday mornings before everyone else got up. Now, I write a couple of days a week, and do my speaking and client work in the remaining days. If you have a story burning to be told, you’ll find a way to get it onto paper! Would you share a bit about your next project? My next project is another book in The Ascendant Kingdoms Saga, REIGN OF ASHES. It will take you deeper into my world, help you get to know the characters better, and present a whole new array of dangerous challenges! The Writers’ Lens is about "Bringing fiction into focus." What brings your writing into focus-- the characters, the stories, the love of words? I think for me, it’s the characters. I love my characters, so it’s exciting for me to tell stories about them and share their lives with readers. I enjoy helping my readers get to know my characters better and better as the series goes on, with the hope that the characters become people you feel you know, friends you don’t want to see end their visit. ICE FORGED, Book One in Gail’s brand new Ascendant Kingdoms Saga, will be available in stores and online world-wide in January 2013. 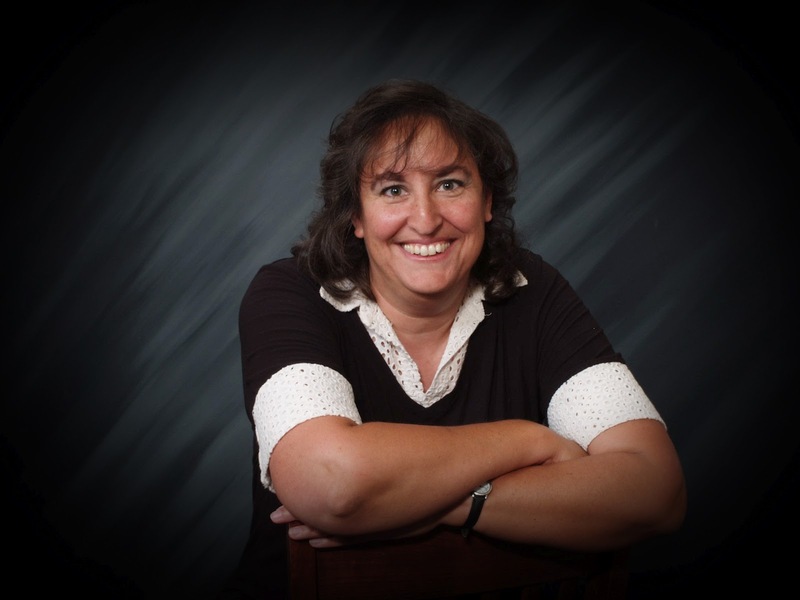 Gail is also author of The Chronicles of The Necromancer series (The Summoner, The Blood King, Dark Haven and Dark Lady’s Chosen ) from Solaris Books and The Fallen Kings Cycle from Orbit Books (Book One: The Sworn and Book Two: The Dread). Her short fiction has been featured in four anthologies: Rum and Runestones and Spells and Swashbucklers from Dragon Moon Press, The Bitten Word from New Con Press (UK) and the upcoming Women’s Mammoth Book of Ghost Stores (UK). 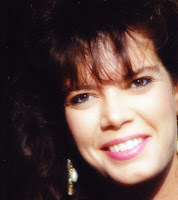 You can find Gail’s books in bookstores worldwide, as well as on Amazon.com, BarnesandNoble.com, Indigo.ca, Waterstones.com and everywhere books are sold. Leave a comment to enter this week's giveaway contest to have a $10 pledge made in your name toward the Writers in the Park Kickstarter campaign...and thanks for visiting The Writers' Lens. This is T.W. Fendley--you can find me at www.twfendley.com and on Twitter @twfendley. A Green Beret and Veteran of the Cold War, Warren served 21 years in the United States Army, retiring at the rank of Master Sergeant. His current writing genre is on the Military and the Cold War. Warren is pursuing writing, research, teaching, and support of fraternal, charitable and other organizations. The fictional Cold War story about Air Force Captain Jacob Walden shot down over Vietnam in 1970 and the unknown story of why he never returned home. Forty years later Journalist Ted Pratt investigates what may be the sudden reappearance of Jacob Walden. Ted Pratt follows the trail to find Jacob and encounters Charlie Smith, a secretive and seasoned Operative who may have answers to the question about “What Happened to Jacob Walden,” and why Jake never returned home. As writers we chase lofty dreams, but sometimes those dreams warp into nightmares. This isn’t a post telling writers not to write, but rather a road map for what to avoid. There are roadblocks, pitfalls, people out to stop you, or deviate you from the path. Nightmares are tests of your resolve. Writing is not a profession for the weak. Writers take bold strides, and shine light into the darkest of places. Dreams push us to these heights and it is the Nightmares that try to stop us. The first is the most common for new writers – never finishing the novel that resides in your heart. When asked what is the most difficult, the first line or the last, many say the first line. It is rewritten over and over trying to impress not only the reader, but agents, editors, and publishers. However, I would argue that even though the first line is difficult, just getting to last line can be the ultimate challenge. To pen the last line means you have written, plotted, and honed a story to its completion. Even if it never sells, or isn’t a hit novel, the fact that the last line is written is an accomplishment that many will never reach. So kudos. Hit the period and go celebrate. The worst nightmare that a writer can face is plagiarism. It is the despicable black market of our business. Passing off someone work as their own isn’t just lazy; it robs someone’s soul, their voice, and their creativity for no other reason than laziness or greed. The saddest fact is that it usually isn’t necessary. A blog can be written in no time, passages can be rewritten for term papers, and movies can be adapted. Mirroring a favorite author’s style isn’t plagiarism, but taking the essence word for word, especially when it’s malicious should land them in a special ring of damnation, but too often this is solved with a cease and desist letter, and nothing more. Rejections are something that every writer needs to deal with, they are the speed bumps of our careers, collecting enough of them usually leads to publication – but endless rejection wears on the writer, tears at their creativity, and in the end leads to a final killing of one’s muse and never writing again. Rejections are never about the author, they are about the work, but endless rejection strips that old adage layer by layer until only the writer’s fester wound remains. It doesn’t change for the published author, either. Once the debut novel hits the shelf, the nightmare of the sophomore novel rears its ugly head. Capturing the magic once is hard enough, but now the author has to not replicate this success, but exceed it. Reviews can be wonderful, and there are points to be learned from negative reviews – If all the reviews ay the novel lacks a strong opening, that probably means it does, but a negative review that only seeks to rip the author or the book for the sake of hating, does nothing but feed the flames of anger (on both sides). Reviews that attack the author, or are plain wrong about the book, do nothing but allow a few individuals to feel better about themselves, and end up as nothing more than the bullies of the publishing industry. Nightmares don’t always have to be exterior forces, sometimes they are brought on by the writer they seek. The depression brought on by obsessing on rankings, reviews, stars, and comments can lead a writer straight into the mad house. These markers have come to define a writer’s career, they are important, but they lead many down a dark path of constant good reads checking, Google alerts that make one cringe, and a hatred of blogs and social media. Pitfalls abound, they make writers deviate from what they should be doing which is focusing on their dreams and bringing them to fruition. Blogging, reviewing, volunteering, and so many more literary activities force one to write something other than their dream. But the dream doesn’t have to warp into a nightmare. Distractions can be good, sometimes writing something else helps keep the dream fresh, preventing it from souring. Blogging gets an author out of their comfort zone which can inspire creativity, reviewers can learn what works well for other authors and emulate it (not steal it), and obsessing over rankings and reviews can show the improvements that need to be made, not to mention it is important to know. Strike the right balance and all things in moderation. Remember to devote time to your dream – even if it’s only once a week – a book isn’t written in a sprint (that’s flash fiction). Books are marathons, so every little bit pushes the author closer to finishing the dream. Knowing the pitfalls are there and knowing how to avoid them are the keys to success. So never stop dreaming and always remember that nightmares are only terrifying until you wake up. Today on the Writers Lens we are giving away a $10 Pledge for Writers in the Park’s Kickstarter Campaign. If you win, a pledge will be made in your honor, and your name will be tweeted as a contributor for the festival! I know it may not be the most glamorous of the pledge tiers, but remember, we’re helping a great cause and your name will be immortalized on twitter with a thank you. To enter, just leave a comment on this post, and if you want, include your twitter handle or whichever name you would prefer tweeted. Those wishing to enter have until Saturday, June 23, 2012 at midnight to comment on this post. If no one signs up, a donation will be made in the name of the Writers Lens. The winner will be chosen on Sunday, June 24, 2012. Good Luck! Help St Louis Writers Guild encourage tomorrow’s writers and thank you for your support! Visit www.stlwritersguild.org for information on St. Louis Writers Guild. Two years ago in celebration of its 90th Anniversary, St. Louis Writers created a mini writers conference, Writers in the Park. The festival is held in the amphitheater and surrounding sites at Kirkwood Park, a local county park. Multiple workshops an hour cover a wide variety of topics, providing a rewarding experience for every writer. This year, they are bringing together many of St. Louis' literary organizations as well as great authors to provide workshops for writers of every level. The first year, the festival exceeded expectations, the weather was great, the workshops ranged from Y/A to Editing, and over 85 people attended. STL Books sold t-shirts and books, Big Bear Grill provided the food, and an open mic ended the day. Last year, they had Writers in the Rain, as heavy thunderstorms drenched the park. 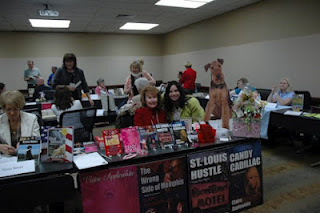 A quick move inside, and the day continued, the workshops ranged from How to Write A Fight Scene to Paranormal writing, and a special presentation by the Missouri Writers Guild as part of their Wounded Warriors Program. This year, St. Louis Writers Guild is hoping to expand. They have created a Kickstarter Campaign in the hope of including writing workshops for kids. There are multiple tiers to pledge and they come with a variety of rewards to say thank you for supporting Writers in the Park like tweets, the anthology St. Louis Reflections, book selling opportunities, and even membership. If you do pledge, thank you, but if you can’t they understand. You can still help by spreading the word about Writers in the Park. Free and Open to all writers! This year there will be two tracks of programming. For adults, there will be multiple breakout sessions an hour starting at 10am in Lions Amphitheater. There will also be four hours of kids programming for kids between 4th and 8th grades at Scout’s Pavilion. Those attending will find books for sale by STLBooks.com (don’t forget to stop by the Contributors Table), good food, lots of writers, and best of all that creative electricity that comes from attending a conference! PETER GREEN: A writer, architect and city planner reared in a family of journalists, Peter found his father’s 400 World War II letters, his humorous war stories, his mother’s writings and his family’s often hilarious doings too good a tale to keep to himself, so he launched a second career as a writer. After years of architectural work and proposal writing for his design firms, he went back to Washington University and earned a Certificate in Creative Writing. Awards include the Distinguished Service Award, St. Louis Post, SAME, and a 2010 Robin Moore Thiess Award for Outstanding Volunteer Service from St. Louis Writers Guild. 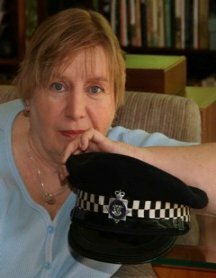 JUDY MORESI: Published articles, short stories, and photography to her credit, award-winning author Judy Moresi has spoken on mystery writing at various conferences. 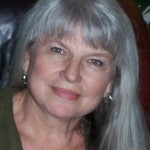 L&L Dreamspell Publishing launched her first suspense novel, Widow's Walk, in 2010 and Tribal Fires September 2011. Judy is currently working on Cat's Cradle and Honky Tonk Man. Formerly a model with Cover Girl Studios in St. Louis, Judy joined a country rock band in the '60s and appeared Saturday nights on the televised Big "D" Jamboree in Dallas, Texas. CRIME OF DESIGN: To save his beleaguered city, his career, his family and his very life, Patrick MacKenna must confront a ruthless saboteur and killer. When this architect and city planner discovers the dead body of the city manager at his dream project site, within hours he’s a murder suspect. Can he help solve the crime to clear his name? DAD'S WAR WITH THE UNITED STATES MARINES: A faithful account of the charming and hilarious World War II misadventures of PFC Ben Green--a low-ranking but quick-witted individualist who battled the system in order to serve his country with honor, yet saved his neck to return home to his family. Its serious message is that his generation's unshakable resolve to resist evil in the world is still needed today to counter those self-appointed saviors who attack and threaten to destroy civilized society. TRIBAL FIRES: From the Great Pyramid at Giza to the Amazon jungles, photographer Shea McKenna faces danger on a global scale. But Shea is propelled into a world of fraud and murder when she accepts an assignment to photograph American Indian artifacts. After the theft of relics, the discovery of a forged war lance, and a brutally murdered museum employee, St. Louis’ finest declare Shea and the handsome Native American chieftain who restored the relics suspects. As she gets closer to the truth, she winds up with a ruthless murderer hot on her trail. WIDOW'S WALK: A shadowy figure seen lurking on the widow’s walk is only the beginning of Laura’s strange and frightening experiences in her creepy old house. Money reversals after Davis Chandler’s death force his widow Laura to move into a crumbling Victorian house she inherited. The young widow’s life seems like a bad dream. When she finds blood splashed on her front steps and a dead animal hanging from her chandelier, Laura realizes the bad dream has turned into a nightmare that could be the death of her. This week's giveaway is a Nam Noir novel set at the old St. Louis "No Tell Motel" Coral Court. Yes, we are giving away Claire Applewhite's St. Louis Hustle. "A simple case turns into a web of lethal deception. "When sleek Emily Davies begs Elvin Suggs to trail her philandering husband, Nick, it seems like an easy request. Dimond "Di" Redding and Elvin are eager to get started on the first case for their new business, Grapevine Investigations. 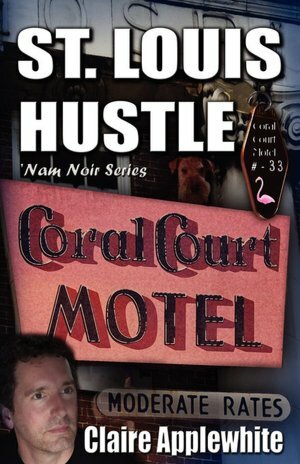 Along with help from their fellow Vietnam vet Cobra Glynes, they follow the cheating husband straight to St. Louis' notorious "no tell motel"-The Coral Court. "Right from the start Di distrusts Emily, a nurse at People's Hospital. She can't explain why she's uneasy until they spot the woman playing doctor with a plastic surgeon at the very same motel. The mousy desk clerk Waldo E. knows his "regulars" but he refuses to divulge his secrets to the investigators. When one of his regular guests turns up dead, he still won't talk, not even to police detective Reggie Combs. The woman's sleazy landlord is quick to point the finger at Emily's cheating husband. "After another body turns up, this time at the Coral Court Motel, Elvin and Di discover there's no escape until they see this twisted case through to the bitter end..."
Legend John Lutz wrote: "Author Applewhite has created an engrossing tale that presents the setting almost as one of the cast of characters. If you like neatly rendered, nicely plotted fiction, you'll finish St. Louis Hustle in one sitting. For those who know little or nothing about St. Louis, Applewhite's novel is the perfect gateway to the Gateway City." How do you win a free copy of this book? To enter the contest, simply leave a comment or question on the Writers' Lens blog between now (June 11) and midnight June 16, 2012. Please include your email so we can reach you if you win. The more comments you leave, the greater your chance of winning the contest. If you refer others to The Writer's Lens who mention your name in their comments, I'll enter your name again in our random number generator along with theirs, also increasing your chances at winning! The winner will be chosen after midnight on Saturday, June 16 and the announcement made on Sunday, June 17. Good luck and comment often. I had the pleasure to have a conversation with Claire about her writing and why she writes Noir. The Writers' Lens: You are a very soft spoken and kind person. What has drawn you to write about one of the most heinous acts that man commit--murder? Claire Applewhite: I am intrigued by what would motivate someone to commit such a heinous act. WL: You have a series of books that are set in St. Louis, Missouri that have been classified as 'Nam Noir. What is 'Nam Noir? CA: Noir is a subgenre of mystery fiction. Themes such as isolation and disillusionment, and motives such as jealousy, greed and lust, as well as resilience in the face of adversity, all define the noir tradition. The series set in St. Louis centers on three Vietnam veterans, and the events in their lives before and after their reunion, twenty years later. Because the themes of noir influenced the lives of the ‘Nam veterans, the series was classified as ‘Nam Noir. WL: When you plot your novels, from whose point of view do you plot from? The protagonist’s? The antagonist’s? The narrator’s? Some one else? CA: I plot from the POV of the character with the most at stake; that is, the one with the most to lose. This character is usually involved with the other major characters, and has a reason to care deeply about attainment of personal goals and desires, and perhaps, the achievements of other characters. WL: When you are starting to work on a novel, what do you find brings the story into focus for you? A Character? A setting? Something else? CA: In other words, how do I plan a project? I write the first page and last page first. Then, I decide what would be the climax or middle of the plot and write a page for a central chapter. Remember, the middle cannot sag! From there, using index cards, I decide what plot points occur between the beginning, middle and end, and fill in the chapters in between. I have heard this method called “storyboarding”, a film making technique, but I find it to be an effective plotting device. WL: What brings your writing into focus? CA: When a major character is put into a crisis, or an unusually stressful situation, and I am forced to feel with that character, that is, endure the stress and survive, the story becomes more clearly focused for me. Firsthand, I feel the character’s strengths and weaknesses, and experience the level of resilience. Many times, a stressful situation will also illustrate the quality of a plot point, that is, the effectiveness in the execution of a key scene. In this way, a potential wrinkle or snag in the plot may be highlighted. WL: What drives your novels: Theme, Character, Plot, the Mystery? CA: What drives the novel are the needs/desires/goals of the protagonist/antagonist. Their story arcs, each necessitating a transformation by the end of the story, drive the novel. WL: Do you work on multiple projects at once? If so, how many? CA: I complete one manuscript at a time, and let each one sit for at least a month to attain some distance from it. During that 30 day “rest” I start a new project. 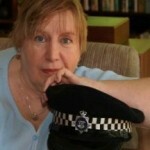 WL: How easy was it to take the leap of faith to become a serious writer and chase this career? What did you find that you had to do to take the step? CA: I have always written creatively as a hobby, but it was not until I was a little past forty that I came across a short story that I wrote as a senior at St. Louis University entitled, “On Call.” At the time I wrote it, the instructor and other students encouraged me to expand it into a novel---but I didn’t do it. Almost twenty years later, that story became my first published novel, The Wrong Side of Memphis. My point is, that I wasn’t ready to expose the feelings in that short story until I felt comfortable doing so—and for me, that meant waiting awhile. For a writer to decide to go for it, I believe, isn’t always a matter of faith or whether it is easy or hard to do the writing. A writer can do the writing without anxiety, if they are ready. Sometimes, it’s a matter of if or when you’re ready to let go of an issue or expose feelings that have been sitting on an emotional shelf. That’s the tough part. WL: A lot of marketing falls on to the writer. How do you market your novels? How do you manage to juggle everything you do? CA: I have to admit that right away, I realized that marketing the novel was going to be just as time consuming and vital as writing it. I felt a little panicked, and then, decided that this was too important to try and do by myself. My mind was open to consulting when a friend told me that his friend had just been laid off and was looking for work. We met, and though neither of us had much experience in marketing books, we decided to work on a book together. So, I have a publicist to help with book signings and photography, and a computer specialist to monitor my website. I also got approval to stock my books at Barnes & Noble in the Midwest region and scheduled book signings locally. Kirkus has reviewed my books and I post the reviews on Goodreads and Twitter. 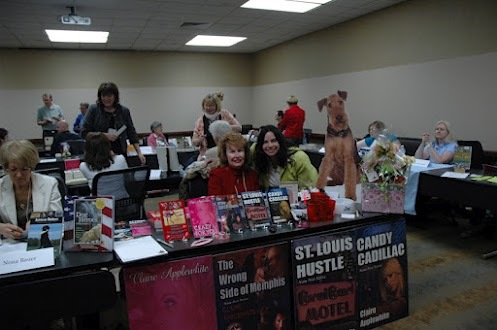 I lecture, visit libraries, and serve as a board member for the Midwest Chapter, Mystery Writers of America, and am an Active member, Mystery Writers of America. However, I had a literary agent tell me recently that nothing is as powerful as “word of mouth” recommendations. As far as juggling, I do something on the marketing front everyday. It cannot be a sporadic effort, it should be consistent and steady. CA: I get up at 6 am and start writing, and usually stop around 10:30 to 11 am. If it is an unusual day and that is not possible, the time must be made up from 10 pm to 1 or 2 am. Either way, there is a ten page quota per day. WL: If you could have coffee (or drink of your choice) with four other authors from any time period, who would you choose and why? CA: Ed McBain, Agatha Christie, Ruth Rendell, Cornell Woolrich. 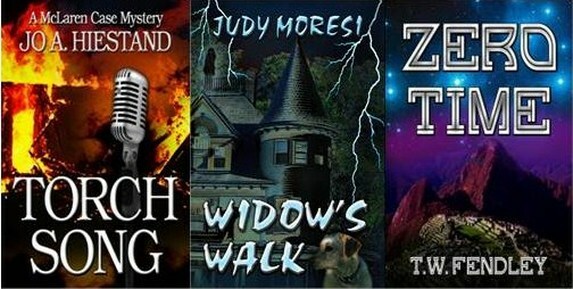 These authors have unique perspectives on the essential elements of a murder mystery: motive, opportunity and means. Rendell and Woolrich in particular, focus on psychological suspense, while Mc Bain and Christie have plots that I find intriguing. CA: Readers may visit my website at www.claireapplewhite.com, or view television interviews and book trailers on YouTube, Claire Applewhite.